Electric motors convert electrical energy into magnetic energy via magnetic fields. Stators and rotors both have a magnetic field induced by a coil through which current flows or by permanent magnets. Both magnetic fields are impacted by the chosen arrangement and the rotor rotates. Through design-specific measures it is achieved that the magnetic fields remain almost in the same position despite the rotary movement. Most motors are internal rotor motors. Fan motors are often arranged in the opposite direction as external rotor motors. The electromechanical converters work in the opposite direction to generators. Optionally cooling, gearbox, rotary encoders or brakes are added. They are equipped with direct current, alternating current and three-phase motors. DC motors are either, in the simplest case, motors with a permanent-excited stator, or electrically-excited motors in which the current is transmitted to the rotor winding via brushes and commutators. Electronically commutating EC motors have become latest design in many application areas. DC motors are used primarily in the automotive sector and in mobile applications. 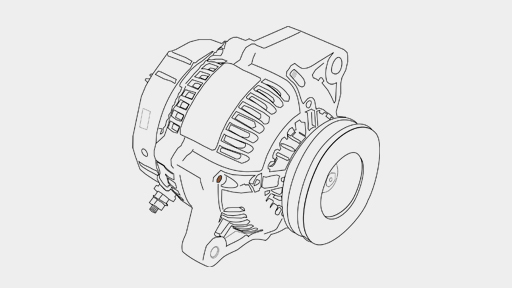 Typical are starters, alternators, hybrid drives or servo actuators. Single-phase AC motors require a special design to run. A distinction must be made between universal motors which correspond to the electrically excited DC motors in the superstructure, but with laminated stator, as well as various special designs, which produce phase shifting by means of design-specific measures. These include condensation motors, reluctance motors and shaded-pole motors. Alternating current motors are used mainly in households with single-phase alternating current devices such as vacuum cleaners or washing machines. In the case of three-phase motors, synchronous motors with a rotor excited by slip rings or permanent magnets and asynchronous motors in which the excitation current is induced in a short-circuit winding are to be distinguished. Three-phase AC motors are widely used in industrial applications. 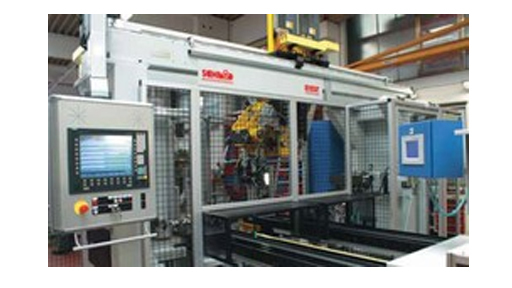 Examples are three-phase motors for the drive of conveyor systems and as a machine tool drive. Hidiria TC Tehnoloski center d.o.o.